They are regarded as a supreme masterpiece of medieval Western art and are admired by thousands of visitors to the city of Padua each year. 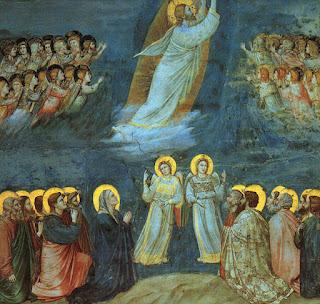 But frescoes by the Italian Renaissance painter, Giotto di Bondone, in the 14th century Scrovegni Chapel, are now said to be threatened by a symbol of the modern world: a futuristic 30-storey tower of flats, shops and offices. Three leading academics have launched a public petition which has attracted thousands of signatures from all over Italy in an attempt to halt the construction of the two-pronged tower, designed by a Serbian-born archutect, Boris Podrecca, who is regarded as a pioneer of post-modernism. It is part of a €160 million development just across the river from the chapel. Critics, who are backed by local environmental groups, warn that digging the tower's foundations will affect drainage across the area and could cause subsidence of the chapel walls, on which the frescoes are painted. At the same time, say opponents of the plan, humidity may be raised - posing a particular threat to the delicate surface of the brilliantly-coloured images. Museum thefts: Are budget cuts to blame?